SkyHouse project featured on the cover of Interior Design…..
Thursday, November 29, 2012-- The advance copy of the November issue of Interior Design Magazine arrived today featuring our skyhouse project on the cover and a fourteen page spread inside. 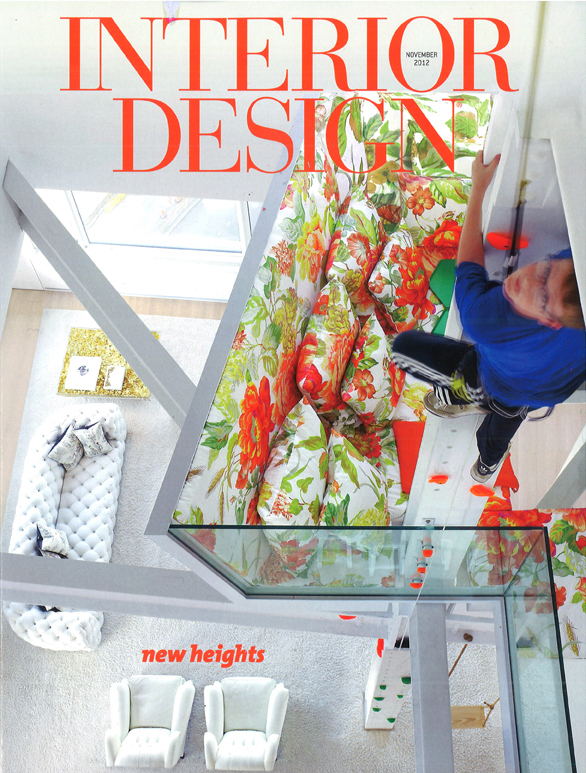 The cover photo shows David Hotson's 12-year old son Ethan climbing the 45' tall riveted steel column which rises through the full four-story height of the penthouse Living Room. See the full story in Interior Design here.